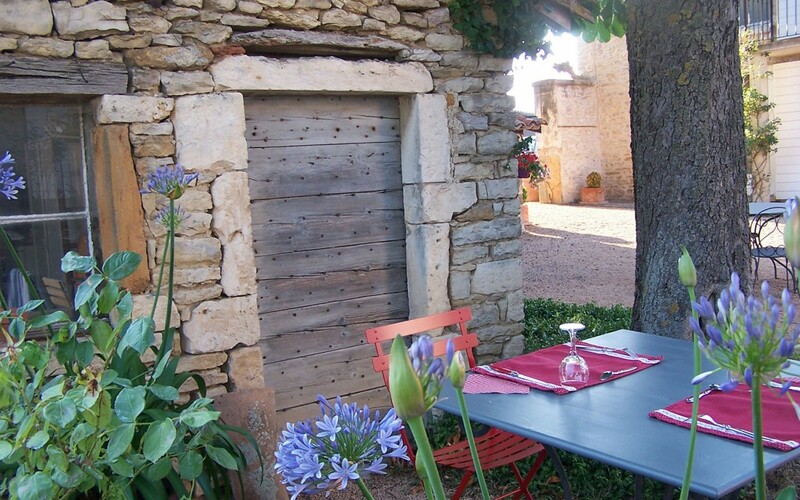 The guest-house of Clos de Pomeir welcomes you to the Beaujolais, the region of the golden stones. 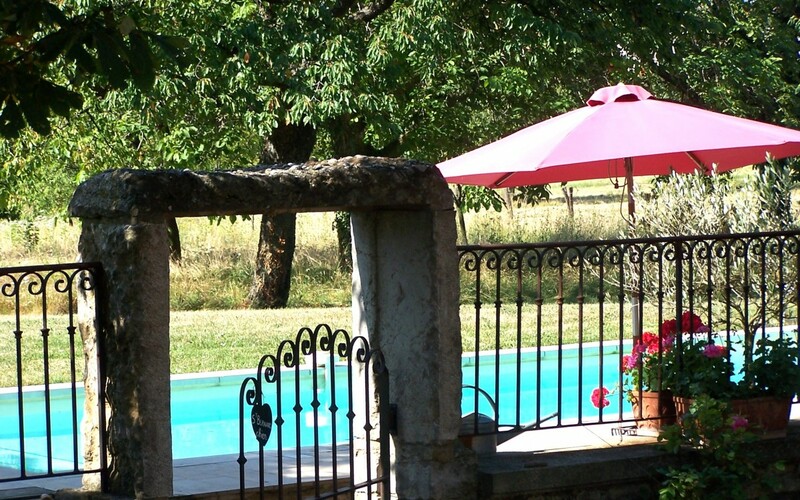 For your holiday rental in France, the Beaujolais, area of the “pierres dorées”, is situated between the Monts du Lyonnais and southern Burgundy, invites you for a very special moment. 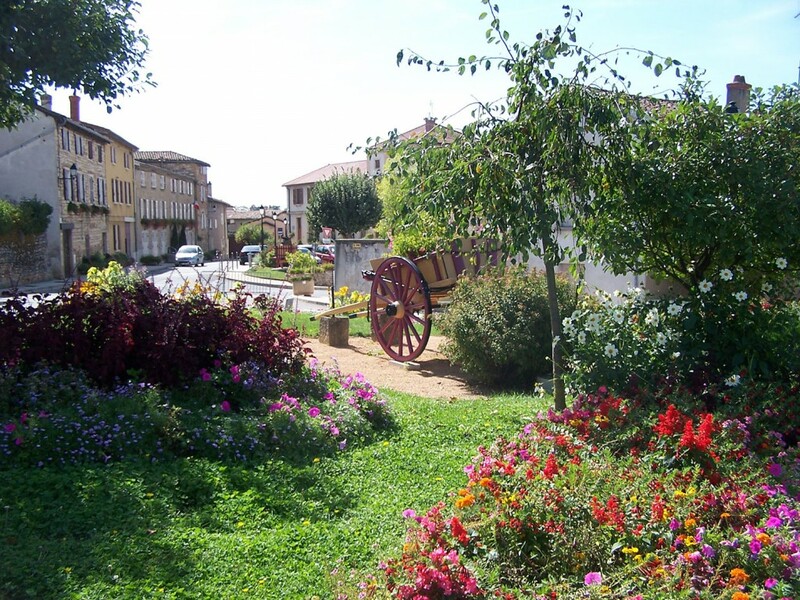 Near Lyon, Southern Beaujolais is a very lively and bright land, remarkable for its villages built in ochre yellow stone upon which the sun’s reflection plays. This stone offers a range of warm and sunny tints, and gives charm and originality to this part of the Beaujolais nicknamed “the little Tuscany of the Beaujolais”. Present everywhere, used in the construction of houses and chateaus, also churches, wash-houses, wells and wall, it dominates some hilly landscapes. About forty villages surrounded by vineyards and sometimes highly perched, invite you to go off to explore them, to meet our wine growers who will friendly welcome you. Since October 2010, the Beaujolais of the “Pierres Dorées” (golden stones) and its villages are listed as “Vignobles et Découvertes” ( vineyards and attractions), a label awarded by the ministers of Agriculture and Tourism. To discover the area, don’t hesitate to enter into the churches, chateaus and museums, taking the time to stroll and capture the soul of the Pierres Dorées in the medieval style hill side villages. 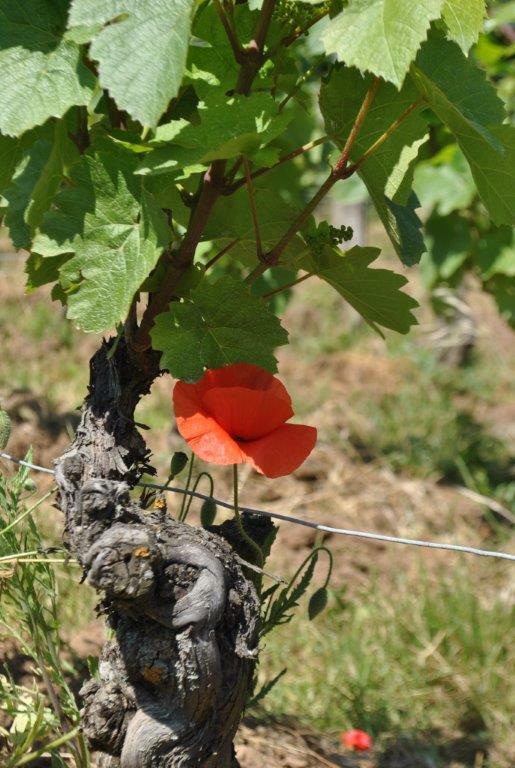 A variety of legends circulate in the villages of the Beaujolais des Pierres Dorées, some of them are very old. There are two different areas in the commune. 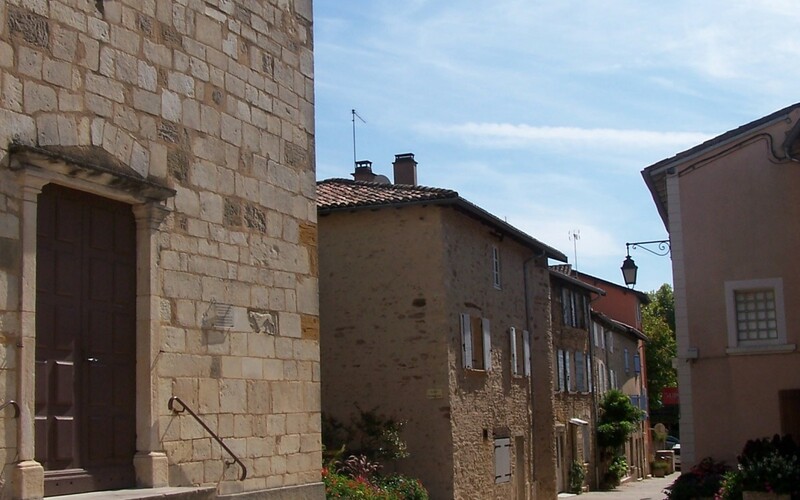 First, go to the Bourg (centre of the village)to admire the old church (XII-XVIth centuries), walk in the narrow little streets to see its old dwellings. Then go up to Mont Buisante, it is the hill of Pommiers, to discover the XIXth century chapel. There you will be above a wonderful panorama. The mysterious cave: a cave is situated on the outskirts of the village, near St-Try, which contains a treasure. The Knights Templers could have owned a priory in Pommiers and legend says they used this cave as a site of initiation and could have hidden their fortune. Oingt is the only village of the department of Rhône to be listed among the “Plus Beaux Villages de France” (most beautiful villages of France). In this perched, fortified medieval village you will be in a time warp. Its little medieval streets, its historical, classified and restored monuments make this place so attractive. Walk along the lanes with their pastoral names, discover some very beautiful dwellings built in golden stones. Some craftsmen and some artists have their workshops and their exhibition shops in the village. Don’t miss “la tour d’Oingt” the tower of Oingt, Saint Mathieu church and the place of mechanical music (l’Espace de musique mécanique). Write into your diary the best dates of the year: festival of mechanical music, the first weekend of September, Christmas creches to discover all along the streets of the village, from December 8th, temporary exhibitions at the “Maison commune (old house of the XVth century). 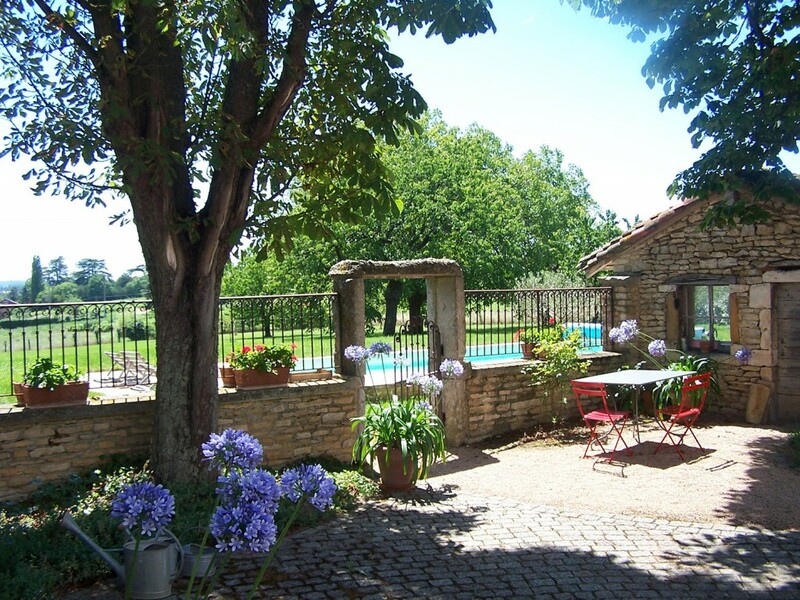 Nearby the vineyards, Villefranche-sur-Saone, capital city of the Beaujolais, invites you to discover: cultural heritage, gastronomy, Beaujolais nouveau festivities, shopping, the market.